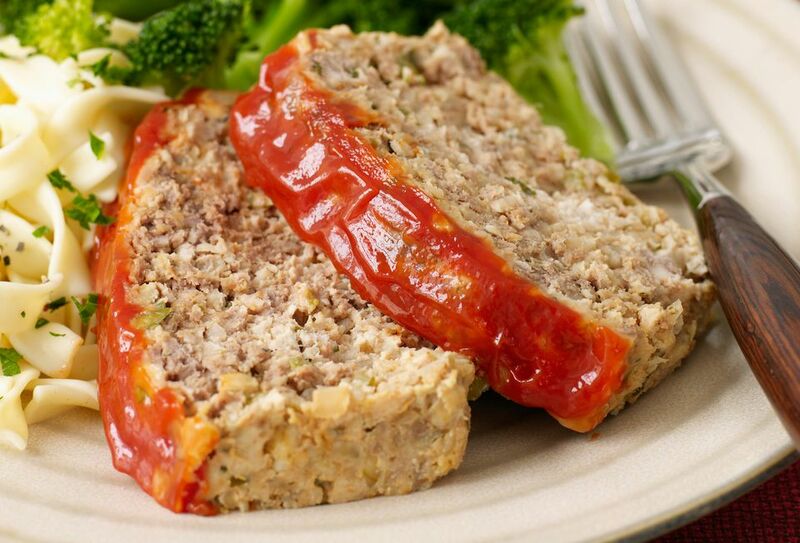 This everyday meatloaf is made with lean ground beef or ground round. Serve mashed potatoes with this meatloaf, along with sliced tomatoes or your favorite side vegetables for a delicious everyday family meal. In a skillet, melt butter over medium heat; add mushrooms, onion, celery, carrots, and water. Heat to boiling; cover and cook for 10 minutes, or until vegetables are just tender-crisp. In a large bowl, combine ground beef, flour, seasoned salt, thyme, parsley, soy sauce, and the cooked vegetables. Mix gently and shape into a loaf in a greased, shallow baking pan (with sides). Bake the meatloaf at 350° for about 1 hour to 1 hour and 10 minutes, or until loaf is crusty and browned.